As Reviva Labs prepares for its 45th year celebration formulating and manufacturing effective natural skin care, Reviva staff calculated how many units it has manufactured and shipped over the years – and when they finished their tally, it was discovered Reviva has created and delivered an extraordinary number of skin care products. During its 45 years of operation Reviva has produced, sold, and shipped over two hundred and fifty million units. Reviva Labs will be celebrating 45 years in business in 2018 and, while preparing to celebrate its longevity, Reviva decided to calculate how many units it has manufactured and shipped. Determined and diligent staffers at Reviva combed its archives – digging through records, comparing old ledger books and various data files that span decades – and when they finished their tally, they discovered Reviva Labs has created and delivered an extraordinary number of products. During Reviva’s 45 years of operation Reviva has produced, sold, and shipped over two hundred and fifty million units. That’s a quarter billion products. “For our small family-owned business, started by my father, to have sold a quarter billion products - which translates to millions of happy Reviva customers - that’s nearly unbelievable to me. We’re obviously amazed and immensely proud too,” stated Ian Strassler, CEO of Reviva Labs. The extraordinary numbers average out to over five million units shipped annually and just over 15,000 units shipped per day. Reviva Labs’ growth started slowly after its founding in 1973 - but as Reviva introduced industry firsts and debuted new skin care breakthroughs, Reviva rapidly grew. Reviva is a staple brand within the Health Food and Natural Products niche across brick and mortar and online retail. Most recently, international sales have also been accelerating Reviva’s sales growth. “Our success is due to great products, a strong work ethic, and because we have enjoyed terrific relationships with our distributors and retailers,” says Jeri Trachtman, V.P. 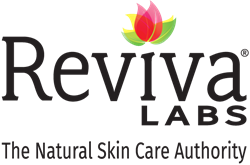 of Sales at Reviva Labs. Reviva enjoys wide industry distribution through KeHe, UNFI, Select Nutrition, Palko Services, Threshold, Frontier Co-op, Lotus Light, and more. Additionally, Reviva Labs sells direct to hundreds of accounts - many of which have been buying from us for decades – including many small Mom & Pop stores that over time grew into larger chains or which transformed into e-commerce behemoths. Reviva also sells direct to many national brick and mortar retailers including Vitamin Shoppes and to leading e-tailers such as VitaCost.com, iherb.com, luckyvitamin.com, Swanson, and more. As Reviva Labs prepares for its 45th year celebration formulating and manufacturing effective natural skin care, Reviva remains committed to creating best-in-class skin care. And everyone within the immediate and extended Reviva family looks forward to selling the next quarter billion and beyond.